The attack by unknown gunmen at the house of a journalist in Festac Town Lagos, has been condemned by several civil society groups, human rights groups and the media in Nigeria. Yesterday evening, hoodlums stormed the residence of the journalist and shot sporadically at everything on sight. 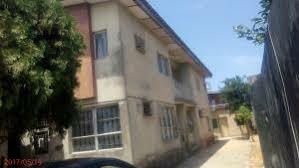 The gateman was also shot and presently lying critically at the hospital in Ikeja, Lagos. It was gathered that the journalist and his family had left the house before the attackers struck. The Human Rights Awareness Ray, Institute for West African Rights, Save Us by Good Governance Connect With Peace and the media in Nigeria have condemned the attack. In a press statement by the Human Rights Awareness Ray (HRAR), the attack is an affront to the rule of law, right to liberty and has sent a signal to the federal government to secure lives with the constant killings and kidnappings that has become a norm in the country. According to the Executive director of HRAR, Gideon Uzezi, the attackers intent is to silence objective reporting with their initial threats. “We are also glad that nobody was at home when they stuck. I can imagine what would have happened when they meet the journalist or his family at home. We are so happy they did not meet them. Infact, I very happy. I’m so glad. “We are still appealing to the federal government to look into the issue of security. Insecurity in Nigeria has gotten out of hand. When insurgent have now turned their guns to the third estate of the realm, what now becomes of we the citizens. I don’t want to quantify the fate of we the citizens if this is happening. We have not gotten to the state of lawlessness. According the neighbour of the journalist, Mrs. Helen Feyisayo, the journalist has received death threats from a terrorist organisation, ISWA, through a letter and telephone calls and had discussed the threat with her husband before fleeing the residence. Details about the content of the threat and location of the journalist are still unknown since yesterday. 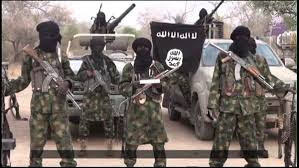 There are also conflicting reports about the number of the gunmen that attacked the house which resulted in several traffic jam around the environ and roads leading to Festac Town. Some witnesses said the gunmen were close to ten in number, others said they were over six in number. The gunmen came in two separate green and cars but nobody as able to not the car plate number and the model of the car.